The Better Mom Community is a place where we as moms can come together in the midst of our not-so-perfect lives to grow in grace and wisdom as we live out our calling as moms. I am soooo glad you are here! I so wish we were sitting across the table from one another, sipping (or gulping ---who am I kidding?!) coffee and chatting about life, but this is the next best thing right? I love this little space on the internet. God has done an amazing work here and I am thrilled to share a bit about it with you. Several years ago, after spending much time feeling frazzled, trying to learn to do everything the best I could by myself, God reminded me that ALL OF US fall short and no one is perfect (not even us crazy, hot-mess moms)----- But we can learn from one another and we can get better. I found all of these wonderful sites online to help me and I was gathering so much wisdom from so many different moms. This is where my idea was born. What if there was just one site to address the many topics and issues that we face as moms?! Moms of girls, moms of boys, homeschooling moms, working moms, moms who cook, moms who clean and organize, moms to be, new moms, struggling moms, and great moms all striving to be better moms together! Praise God that we can learn from one another and spur one another on! So August 1, 2011 The Better Mom was born. It is my prayer that God will use The Better Mom to inspire moms all over the world and I am blessed to be used as a vessel for Him. So friend, pull up a chair, grab your coffee and let's chat. I can't wait to get to know you! A bit of my story: Ruth is the wife of a pastor, who is her best friend and the love of her life. She is a blessed homeschooling mother to her four children, and she eagerly awaits meeting her five others in heaven. Ruth is a graduate of Moody Bible Institute in Chicago. 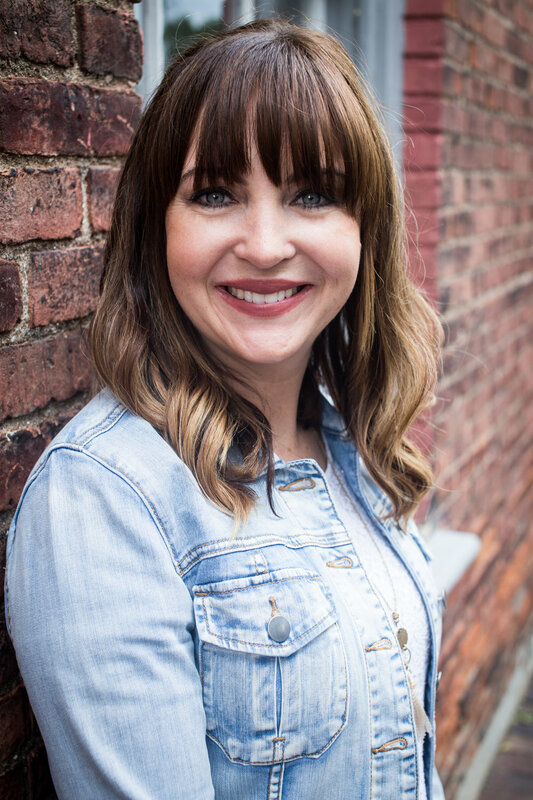 She has a passion for following where God leads, sharing the love of God with each and every person that crosses her path, rescuing orphans, and inspiring others to create a God honoring family. She thoroughly enjoys warm spring breezes, blooming lilacs, a large lobster-butter-love coffee from RoosRoast, eye cream, gel polish, laughing (lots of it), venti black unsweetened iced tea, exclamation points! !, and snuggling up to for long chats with her family. Ruth is the founder of The Better Mom, co-founder with her husband of For the Family and co-author of Hoodwinked: Ten Myths Moms Believe and Why We All Need to Knock It Off, Pressing Pause: 100 Quiet Moments for Moms to Meet With Jesus and with her husband, For Better or For Kids: A Vow to Love Your Spouse With Kids in the House. 2. I love the city, I love the suburbs, AND I love the country. This creates somewhat of a dilemma I am trying to figure out. 3. Ever since I was a little girl, I dreamed of being a mom. 4. I get excited about pretty much anything that has even a small chance of getting excited about. 5. I have been singing since I was a wee little child, and my passion is leading worship. I especially love leading with my dear friend Kathleen Reynolds Miller. 6. I love football! Well watching it that is. Football season is my favorite time of year! My very favorite team is the University of Michigan Wolverines! Go Blue! 7. I consider myself the luckiest woman in the world to be married to a man who is not only a hunk, but who loves God and His word with all that he has, and is passionate about living it out. 8. I love really old houses and new ones too. This also creates somewhat of a dilemma I am still trying to figure out. 9. John 3:30 is my life verse. He must become greater, I must become less. 10. I love staying up really late, but I also love the feeling of getting up really early (with a cup of coffee of course). And you guessed it...This creates somewhat of a dilemma, which I am still trying to figure out. Thank you for joining me friend! I am so thrilled you are a part of this community! You Are Not "just a mom"